The truth of God’s Word is also the only means by which believers can be transformed into the image of Christ. Paul writing to the Thessalonians in I Thess. 2:13 says, “For this reason we also constantly thank God that when you received the word of God which you heard from us, you accepted it not as the word of men, but for what it really is, the word of God, which also performs its work in you who believe.” The work that Paul is speaking of is the work of sanctification in the life of a believer. I think most people who attend Bible believing churches would give a hearty, “Amen!” to what I have said so far. They would agree; the Bible is the very Word of God, a unique, life-changing book with no rivals. Yet in practice, many churches are not treating the Bible according to what they profess to believe about it. I have noticed subtle shifts away from the Bible taking place in many churches today. Churches are moving away from the Word of God at an increasing rate. A ball placed on a slightly tilted surface will be pulled downhill by gravity and pick up speed as it rolls. In like manner, churches that start moving away from the Bible are often pulled downhill by depravity until they have denied the Scriptures altogether. The trends I see today are alarming for the Bible is the lifeblood of every healthy church. I have identified some of these subtle shifts for you to consider. Each shift begins with an imperceptible deviation from the truth that increases over time. Let me discuss what I have observed and you consider if there is any truth in what I say in your life or church situation. This problem is not as common as it once was for we are experiencing in the world a trend towards anti-intellectualism. However, some churches that have started strong are ending weak. People at first are encouraged to study God’s Word. Many become diligent students of the Bible. There is an academic mindset that sweeps through the congregation. 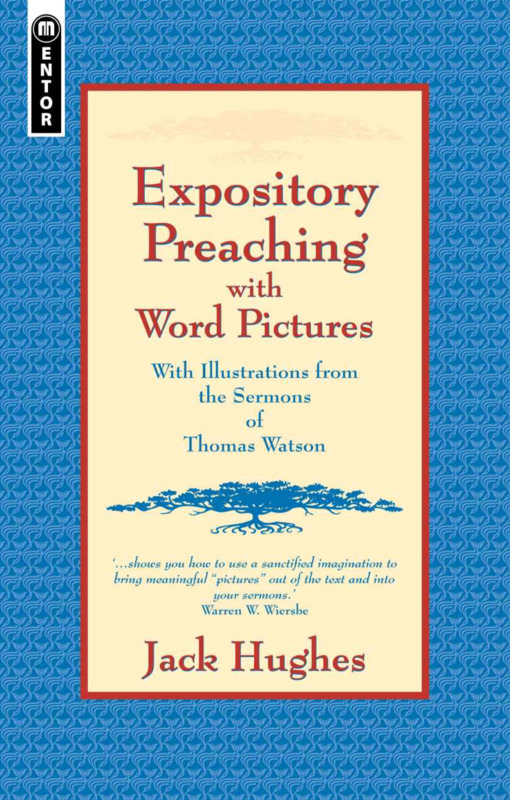 Favorite authors and books are mentioned frequently from the pulpit. Maybe a bookstore is set up where the best books to be found in Christian literature are available for purchase. A hunger to read and study the classics of Christianity is encouraged. Many read them and are helped. All this is good and fine. However, the desire to be well read in extra-biblical resources can create an academic chink in a church’s armor that eventually can lead them away from Bible study. Satan knows that only the Bible can save and sanctify sinners. He is all too aware of the life changing power contained in the Word of God. Satan fears “THE BOOK” and labors to keep Christians from reading and studying their Bibles. Yet he will find it nearly impossible to get believers to reject the Bible outright all at once. No, he must get people to turn from the Bible by imperceptible degrees. He must steer the boat away from the harbor one minute of the compass at a time so as not to cause alarm. Sometimes he begins by encouraging people to read the best of the uninspired works of men as a substitute for personal Bible study. The best-uninspired works are full of sound doctrine, theological truth, and Scripture references, yet for all that they aren’t the Word of God. They aren’t living and active. They contain Bible quotations to be sure, but they fall short of the pure milk of the Word. If left unchecked, the desire to be well read in the classics of Christianity can lead to the neglect of Bible study. I have talked to many who can defend certain theological systems because they read the works of the men who created them. However, they have never studied the Scriptures for themselves, caught their own fish, and cooked their own meals. Everything they believe is pre-packaged by someone else. Satan is pleased with this deviation for it is the first move away from Bible study. It is hardly noticeable and often encouraged. Christ, however, instructs us to be diligent workmen who are not ashamed, handling accurately the Word of Truth (II Tim. 2:15). Solomon rightly warned, “the writing of many books is endless, and excessive devotion to books is wearying to the body” (Eccl. 12:12). Yet this cannot be said about the Bible. Excessive devotion to the Bible encourages, builds up, edifies, and comforts. In Psalm 19:7-14 the Psalmist teaches us that the Word of God is able to restore our soul, make wise the simple, rejoice our heart, enlighten our eyes, give us a pure and perfectly righteous source of information to draw from. It says the Bible is a treasure more valuable than gold and food sweeter than honey. Psalm 19 says God’s Word warns us of danger, leads us to great reward, shows us our errors, reveals to us our hidden faults, tells us how to be forgiven of our sins and how to be accepted in God’s sight. This is what excessive devotion to the Bible will give us—and more! Beware of the subtle academic shift away from studying the Bible. Don’t let anyone or anything distract you from reading and studying God’s Book. Let me give some biblical reasons why you must commit yourself to study God’s Word. How much should you focus on Bible study? Listen to what God says in Deut. 6:6-9 “These words, which I am commanding you today, shall be on your heart. You shall teach them diligently to your sons and shall talk of them when you sit in your house and when you walk by the way and when you lie down and when you rise up. You shall bind them as a sign on your hand and they shall be as frontals on your forehead. You shall write them on the doorposts of your house and on your gates.” What does this text teach you about the importance of studying God’s Word? From our waking up in the morning to our going to bed at night, inside and outside the house the Bible is to be informing, warning, guiding, and instructing all we say and do. Why study the Bible? Consider Josh. 1:8 where God says to Joshua, “This book of the law shall not depart from your mouth, but you shall meditate on it day and night, so that you may be careful to do according to all that is written in it; for then you will make your way prosperous, and then you will have success.” Do you want to have a biblically successful life? If so, you must study the Bible with a desire and intention to obey it. Obeying the Word of God is the true meaning of success. What does the Bible say is the greatest remedy against sin? The Psalmist in Psa. 119:11 says, “Your word I have treasured in my heart, that I may not sin against You.” Do you want to live a godly life? Then you must study the Bible for it is God’s primary remedy against sin. When Jesus was tempted by the Devil in the wilderness how did he prevail? By quoting the Word of God, which He previously had treasured in His heart. How much Bible study is enough? Paul in Col. 3:16 says, “Let the word of Christ richly dwell within you, with all wisdom teaching and admonishing one another with psalms and hymns and spiritual songs, singing with thankfulness in your hearts to God.” What is the exhortation for all believers in this text? What must we do to let the Word of Christ dwell in us richly? Study the Bible diligently. How can you grow in your walk with the Lord? Peter says in I Pet. 2:2, “Like newborn babies, long for the pure milk of the word, so that by it you may grow in respect to salvation.” Everyone knows how much milk newborn babies consume so they can grow up; in like fashion, we are to consume the Word of God so we can grow up spiritually. We never reach the perfect stature that belongs to Christ in this life and therefore we must keep consuming the milk of the Word. If we must choose between reading and studying the Bible or reading the uninspired works of men, we must choose the Bible. Reading and studying uninspired books is wonderful, often very helpful, but optional. Reading and studying the Bible is commanded and necessary. A zealous young Christian man decides to skip formal theological training before entering into the ministry. He gets a band, a place to meet, and attracts other young supporters to himself to help him with the new church plant. If all goes well the church grows, but something is lacking. People aren’t studying the Bible. The preacher may have sound doctrine, but the fact is he doesn’t really know how to study the Bible either. The leadership, composed of young men in there 20’s and 30’s, have never read a hermeneutics book or taken a class in exegesis. They couldn’t tell you the grammatically inspired main point of a text if their life depended on it. Their motives are good, they love the Lord, but the fact is they can’t teach others what they themselves do not know. The leadership wants people to grow in the Word, but since they themselves don’t know how to study the Bible, they steer people to good, but lesser choices. They encourage small groups that discuss the sermon, that way no body needs to prepare and teach the Bible. They might encourage book clubs for the same reason, no one needs to study and prepare a lesson. They merely read the labors of other people’s study. Sometimes a subtle disdain or undercurrent against Bible study develops. Bible study can be seen as outdated and an unnecessary part of healthy church life. Instead they see themselves as champions of “getting connected,” of promoting fellowshipping. What is lacking in the preacher will usually show up in his disciples, for like priest like people (Hos. 4:9). Personal Bible study is not valued or encouraged. Small groups that are advertised to promote fellowship are seen as a better alternative. Has it ever occurred to you that one hundred pianos all tuned to the same fork are automatically tuned to each other? They are of one accord by being tuned, not to each other, but to another standard to which one must individually bow. So one hundred worshipers meeting together, each one looking away to Christ, are in heart nearer to each other than they could possibly be were they to become "unity" conscious and turn their eyes away from God to strive for closer fellowship. Social religion is perfected when private religion is purified. The body becomes stronger as its members become healthier. The whole church of God gains when the members that compose it begin to seek a better and a higher life. The faithful shepherd will realize there is no greater or more important task given by God to men than the preaching and teaching of the Word of God. That’s why the faithful preacher will do whatever it takes to be well equipped before entering into the pulpit. He will take pains with and be absorbed in the preaching and teaching of God’s Word (I Tim. 4:6-16). He will watch over his own life and doctrine with all diligence so that he doesn’t unsay with his life what he preaches from the pulpit. He will labor to train up faithful men who can teach others (II Tim. 2:2). These leaders will in turn train others so that the vast majority of people in any given church know how to study their own Bible and catch their own fish from the ocean of Biblical waters. The church will be full of Bible studies, call them what you want, where people hungering and thirsting for the truth of God’s Word and true biblical fellowship around the truth gather to be taught by a well-trained, gifted, and prepared teacher. The greater the concentration of quality Bible teaching in a church, the greater the holiness, fellowship, love for Christ, love for others, and zeal to obey God. This is what the Word of God produces in the lives of those who are saturated in its teaching. Yes, there are dangers at every turn. Satan has many deceptions. He may try to get you to wander away from the Bible via the academic shift described above. He may try to raise up those who cry out for more fellowship and unity, by which they mean less Bible teaching and preaching and more fleshly efforts to feel good about themselves and others. Satan will tempt a well-trained congregation to leave their first love like the church of Ephesus (Rev. 2:1-7). The deceiver of the brethren will tempt a well-taught church to be filled with pride and a sense of superiority, so that they look down their noses on others and fall into a completely different, but equally black sin—pride. Paul made it clear that the goal of biblical instruction is love from a pure heart, good conscience, and a sincere faith (I Tim. 1:5). Love is the target, but we often miss the mark, for Satan stands ever ready to jog our elbow as we aim at the bull’s eye of God’s will. Most churches have a creed, a doctrinal statement, a stated teaching position. They adopt it from others or write their own creed or doctrinal statement. I have found it more common that those who adopt their creed from previous generations are more susceptible to this particular shift away from Bible study. This is not to say that older creeds are bad for some of the finest summations of biblical truth that can be found are found in the creeds of previous generations. I suspect that by choosing to adopt someone else’s creed the leadership doesn’t experience the blessing of hammering out their own creed on the anvil of Scripture. It is one thing to buy a quality wooden chair and quite another to craft one from scratch yourself. The former is easier, but be assured, the person who makes the chair from scratch will know far more about that chair than the one who purchased it from someone else. Once a church’s creed is in place, the creed can become the anchor of truth, rather than the Word of God. Everything is compared and contrasted to the creed instead of the Scripture. This seems to be the church of Ephesus’ problem and eventually caused them to forget their first love (Rev. 2:4). They forgot the one thing necessary, which is to sit at Jesus’ feet in personal devotions so that Jesus himself can minister to your soul through the Word of God (Lk. 10:38-42). If the creed be highly esteemed youngsters are often trained in it. Again, this is all good and fine as long as they are also trained in how to study the Bible for themselves. The preacher may even have a many part series and exposit the creed as if it were the Word of God. Bible study falls to the wayside, for after all the truth is found. The unspoken, but understood rule is that the early forefathers of the church studied the Bible, figured out the truth, and handed it to us in a creed. It is our job to protect the creed, teach the creed, and promote the creed, not try to study the Bible for ourselves. Beware of placing any manmade document or creed over the Word of God. Beware of wandering away from personal Bible study in order to maintain agreement with the writings of men. When people have unconfessed sin in their lives they don’t want to study the Bible. If you don’t desire to part from your sin, then you will part from the Bible every time. The pulpit is always the source of this shift away from Bible study. In fact the pulpit could be blamed for all of them. If the pulpit is weak, the sheep will be weak. If the preacher isn’t reproving, rebuking, exhorting, admonishing, and correcting in sound doctrine (II Tim. 4:1-4), sin in the church will increase and holiness will decrease. Doctrine will succumb to principles, exposition will decay into devotions, and Bible study will be supplanted by social gatherings. Unconfessed sin and personal Bible Study are like oil and water, they cannot thrive together. You can be sure that a church that is rife with sin will be a church that neglects and does not promote personal Bible study. 1 My son, if you will receive my words And treasure my commandments within you, 2 Make your ear attentive to wisdom, Incline your heart to understanding; 3 For if you cry for discernment, Lift your voice for understanding; 4 If you seek her as silver And search for her as for hidden treasures; 5 Then you will discern the fear of the Lord And discover the knowledge of God. We may still want to grow in our walks with the Lord, but not enough to say no to those pleasures that captivate us. This leads to looking for more time efficient shortcuts. We read books instead of studying the Bible. We socialize with other Christians thinking that is a sufficient replacement for studying the Bible. We may have small groups, fellowship groups, cell groups, or community groups, but no one has studied nor is prepared to teach the Bible. A desire for ease often tempts leaders to look for Christian “fast food,” which has little spiritual nutrition in comparison to studying the Bible for oneself. The consequences of not having a well trained and prepared group leader is often never considered. Yet the “fast food” approach neglects an important dynamic. For instance, if I were to go online Sunday morning and print off someone else’s sermon notes, read through the notes several times, and preach a sermon I didn’t prepare, people might not notice. However, I would cease being a preacher and in truth become a public reader. The passion, conviction, and intensity, which come from diligent study, prayer, self-examination, and wrestling over the text of the Bible would be absent. I would not be able to preach with boldness and authority because I wouldn’t be sure if what I was preaching was true. I would not be able to preach from my own personal encounter with the Word. The same thing is true for Bible study. If the leader isn’t digging in to the Scriptures, praying over texts, and laboring to understand the Word of God, their teaching will fall flat. People might not notice it, but the power, conviction, and intensity that comes from knowing and experiencing the truth through Bible study will be missing. In the end the leader will have cheated their own hearts, robbed their students of blessing, and failed to give God the glory He deserves. I have heard people say, “We get so much of the Bible in this church that we just want to fellowship instead.” Comments like this imply that a person can get too much of the Bible, a devilish utterance. You can’t have too much knowledge of God’s Word. The Bible says you need to study the Scriptures day and night (Josh. 1:8) until the truth is richly dwelling within you (Col. 3:16), until it is constantly in your mind and on your lips (Psa. 119:11). We are told to love the Scriptures more than our necessary food (Job 23:12). While some uninspired books help us grow in obedience to Christ, in the end, it is only the Word of God that performs its work in those who believe (I Thess. 2:13). It is true that knowledge of the Bible not put into practice can cause us to be puffed up and proud, but the problem of pride arising from what James calls the delusion of being a hearer of the Word and not a doer is no argument against hearing the Word and doing it (James 1:22). The solution is not to cut back on our Bible intake so that it matches our disobedience, but to increase our Bible intake so that it transforms us into doers of the Word who closely resemble the image of Christ. I would not want anyone to come away from reading this article thinking I am against reading any books other than the Bible. I have a large library of uninspired books that are treasures to me. They have helped me a great deal in my walk with the Lord. But no book is a replacement for the inspired Word of God. I am not against academics or creeds either. I have always pastored churches that encouraged serious study and had a doctrinal statement or creed. What I am warning you about is anything, even good and helpful things, that can draw you away from personally studying the Bible. There is no substitute for reading, studying, and meditating on the Word of God. Reader, ask yourself this simple question, “Am I regularly engaged in Bible reading, meditation, and study?” If your answer is, “No” then talk to God about it. Read Psalm 119. Search your heart, your life, your church and see if a subtle shift has taken place and led you away from studying the Bible for yourself. Make changes in your life. Don’t cheat yourself of the best God has for you. Let it be fixed in your mind that you will make personal Bible study your lifelong pursuit. A. W. Tozer, The Pursuit of God, pages 87-88.